It has been just over a year since medical marijuana officially became law in the state of Michigan. The movement is in full effect, and Chris Thomas of the Metro Detroit Medical Marihuana Association is one of the crusaders leading the charge. The Metro Detroit Medical Marihuana Association doesn’t limit themselves to street teams, as the organization recently decided to take its venture to the web. What some would consider a bold move, Thomas sees as a strategic way of getting the word out while still operating within the law. 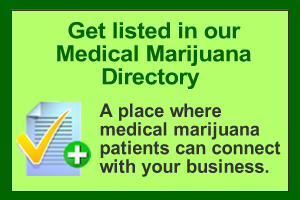 Several medical marijuana supporters, caregivers especially, will tell you that their sole purpose for getting involved in the movement is to assist patients. A college graduate with a Master’s degree in business, Thomas reveals that what attracted him was the business aspect that opened up a golden opportunity. Already a skilled grower, Thomas saw passing of the law as the birth of a new prosperous industry. On the topic of Michigan dispensaries and all the controversy surrounding them, Thomas states that while we probably will not see a law that permits the operation of fully licensed and regulated facilities any time soon, the existing legislation actually works in favor of the caregiver. He hints that it’s all about how you play the game. Thomas says the happenings in California have influenced Michigan’s outlook on dispensaries. Thomas’s goal is to transform a building that once housed a Little Caesars pizza joint into the headquarters for the Metro Detroit Medical Marihuana Association, a project he hopes to have completed sometime this year. Located on 7 Mile and Greenfield Road in Detroit, the facility is slated to offer T-shirts, pipes, vaporizers and growing systems, in addition to providing a cozy area where patients can medicate. And while the market is currently flourishing, Thomas believes it is only a matter of time before it slows down and comes to a complete halt. Buy:Levitra.Cialis Super Active+.Viagra Professional.Super Active ED Pack.Soma.Viagra.Maxaman.Cialis Professional.Viagra Super Force.Cialis.Tramadol.Zithromax.Cialis Soft Tabs.Viagra Soft Tabs.Propecia.Viagra Super Active+.VPXL….